Music to cut wood to. 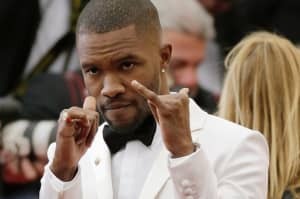 The internet has been in collective limbo this week, as the world watched Frank Ocean sawing and painting wooden boxes on an Apple Music live video stream in the hopes that some sign of Boys Don't Cry would be seconds, minutes, or hours away from appearing. Over the course of the week, ambient noises and loops could be heard from the livestream and one SoundCloud user took it upon themselves to compile all the tracks into one playlist, as Hypebeast notices. Listen to all the instrumentals from Frank Ocean's Boys Don't Cry livestream below. Read The FADER's roundtable discussion on what Frank Ocean owes us.